Feb 9 (AZINS) Prime Minister Narendra Modi on Saturday assured the people of Assam and the North East that the Citizenship Bill will in no way cause harm to their interest. 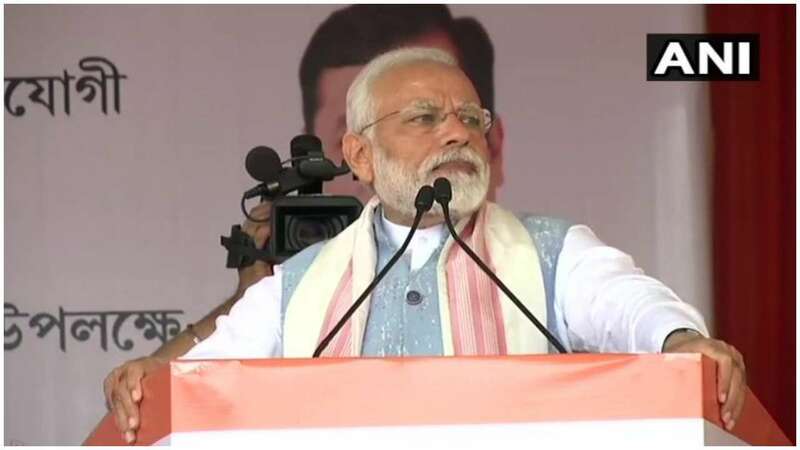 He was addressing a public rally in Changsari in the Assembly constituency of Assam health minister and BJP-led NEDA convener Himanta Biswa Sarma. "It is a national commitment to the people of the North East that they will not be harmed in any way and citizenship will be only granted after due investigation and recommendation of the state governments," Modi said. It must be understood that there is a difference between those who forcefully entered the country and those who were "forced to flee their homes to save their lives due to their faith. Both are not the same", he said. "We have committed to provide shelter to those who are minorities in neighbouring countries and had to leave everything due to the atrocities inflicted on them. They have come to our country and embraced the idea and ethos of Mother India," he said. The BJP is committed to implementing the 36-year old Assam Accord and a committee set up on the implementation of its Clause 6 is a step in that direction, Modi said. The BJP-led NDA government is committed to protecting the language, culture, resources, hopes, and aspirations of the people of Assam and North East, he said. The prime minister also said the BJP government was committed to make Assam the oil and gas hub of the country and in the last four years projects worth Rs 14,000 crore have been completed.